Modern medical imaging is a multidisciplinary field encompassing various fields such as anatomy, atomic and nuclear physics, solid state physics, electronics, instrumentation and computer engineering. There have been a number of advances in x-ray imaging both from the point of view of equipment as well as those of detector systems. This paper reviews some of the important developments. The principles involved in some of the new x-ray equipment such as AMBER and low scatter digital x-ray systems are discussed. Stress is laid on computed radiography (CR) using storage phosphor (SP) plate since this technique has provided a replacement for conventional screen-film system, with its attendant advantages. Physics of photostimulated luminescence (PSL) and CR instrumentation are described. CR has been compared with screen-film system. Recent developments in digital radiography (DR) are also presented. The applications of computer in these fields are outlined. The paper concludes with a brief discussion on developments in CT scanners and the importance of quality assurance. As a routine safety of the patients undergoing magnetic resonance imaging (MRI), the limits of radio frequency (RF) specific absorption rate (SAR) are set by the manufacturers of all MRI systems because RF causes thermogenesis of the RF exposed tissue. It has been mandatory practice to endorse body weight and age of the patients required by the MRI systems for the SAR check. The problems arise on those patients who are critically ill, and consequently body weight could not be measured. In such cases, approximate body weight has to be endorsed. In case of underweight and overweight patients, sometimes SAR check does not permit to run the MRI pulse sequences. Also, in such cases, body weight remains the parameter which is being changed to get the MRI done. The purpose of this study is to assess the change of SAR with endorsed body weight. The change of SAR was recorded with the endorsed weight using phantoms and most commonly used T1 and T2 weighted pulse sequence on clinical MRI system. At true endorsed weight, using respective coils and the head and spine coil phantoms, the body averaged and localised SAR were found to be within limits while this was not the case with body coil phantom. Unrealistic endorsed weights are permissible for the adult age cases in all coils while using the routine T1 and T2 weighted pulse sequences. This finding is absolutely new in the field and certainly, will be of great applicability to develop a uniform and standard system of SAR checks in the patient interest. Food is the principal media for intake of elements from environment to human body. Thus, it is felt important to determine the daily dietary intake of such elements in the field of toxicity and nutrition, the deficiency or sufficiency of which may lead to various diseases, disorders and allergies in human health. In this study, the elements present in commonly used cereals, pulses, noodles, some condiments/spices, tobacco products, some common leaves used in herbal medicine and tea leaves have been analyzed using EDXRF spectrometry technique. Elemental concentrations of K. Ca, Fe, Sr, Mn, Zn, Cu, Pb, As and Se are detected and quantified in all the samples using this method. The results are discussed in relation to cancer. Dosimetric analysis of aluminium (Al) tissue compensator used for 60Co and 6 MV x-ray beams is presented. A method to determine the thickness of aluminium required to compensate various tissue deficit conditions at different depths of compensation and field sizes is described for both the energies. The thickness of Al required to compensate for a particular missing tissue thickness increases in a slight non-linear manner with the depth of compensation and decreases with field size. When the tissue compensator data generated at 5 cm depth and for 10 x 10 cm2 field is used to compensate at different depths and field sizes, the maximum error in dose delivery limits to 3.4% for both the beam energies. Another source of error in making tissue compensator is the thickness denomination of Al blocks and was found to be < 4% for extreme minimal depth of dose compensation (1.5 cm), when the thickness variation of Al blocks is 0.25 cm. This is the maximum error, which could arise from all possible sources of limitations encountered in clinical situations. Otherwise, the maximum error at the same depth of compensation (5 cm) when Al thickness is approximated to an integral multiple of 0.25 cm was estimated to be 2.1 %. Film dosimetry on a representative neck phantom with and without Al tissue compensator prepared from the generated data shows a significant improvement in beam flatness from 12.4% to 4.4%for 60Co and 7.7% to 2.4% for 6 MV x-rays. The beam flatness in the presence of tissue compensator was found to be comparable with the values observed for a normal open beam in a standard polystyrene phantom (2.5% for 60Co and 1.9% for 6 MV x-rays). In our hospital, we are provided with Genius 60 x-ray machine, which is a mobile radiographic unit. Since we have no other diagnostic units like SIM-CT or CT-SIM with which we can get slices of the patient anatomy and from which the medical physicist can properly interpret a three dimensional treatment plan by using 3D-TPS, physicist tried to generate a manual 3D treatment planning by accurately localizing the carcinoma of the oesophagus. This localization technique can also be adopted for other anatomical areas and treatment techniques (SAD/SSD) by proper correlation. 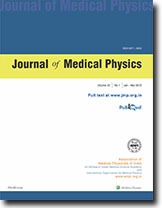 Apart from methods and materials, procedure adopted by physicist for localization, discussion of this new planning technique is given along with result.